r Party Dresses 2013 For Women 004″ src=”http://newfashionelle.com/wp-content/uploads/2012/12/HZ-Latest-Winter-Party-Dresses-2013-For-Women-004.jpg” alt=”H&Z Latest Winter Party Dresses 2013 For Women 004″ width=”424″ height=”640″ />H&Z is owned by Hina Fatima & Zara Akhtar. Both are very talented. Recently they has launched their party wear collection 2013 for women.This winter collection 2013 by H&Z has very artistic designs of embroidered suits with churidar pajamas. 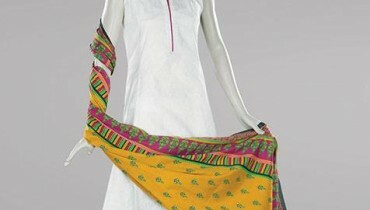 This collection has consists of long and maxi frocks with trousers and churidar pajamas. H&Z party wear collection 2013 has embellished with embroidery on neckline, sleeves, borders and back of shirts. H&Z party wear collection 2013 has designed with full of innovative cuts and contemporary hues. H&Z has launched this collection for the season of winter, which has finally arrives. These party wear dresses are available in different colors. 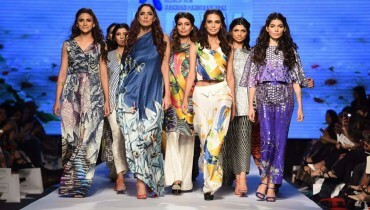 Check out this fabulous collection by H&Z here..